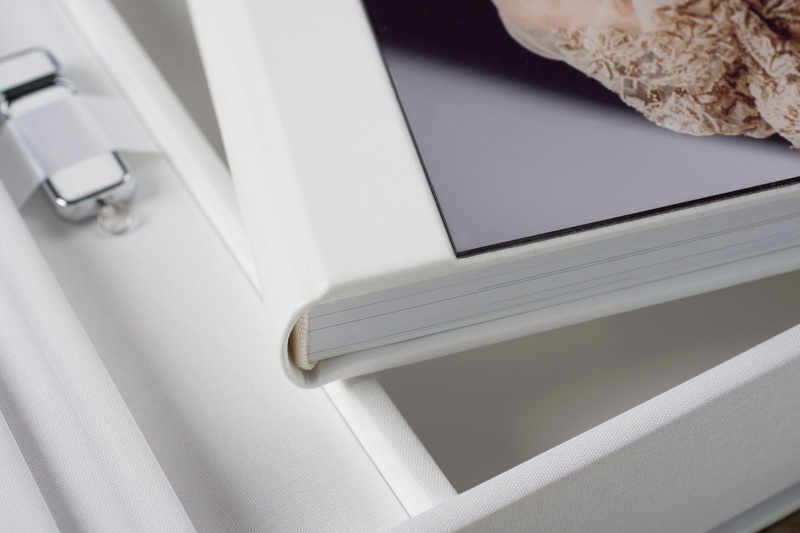 Photo albums, once a staple for every pro photography studio, seem to be slowly dying. Yet, they're as powerful as ever and, yes, will even make you more money. A photo album such as this Photo Album Exclusive goes a long way in turning moments into ever-lasting memories. One of the most memorable ad campaigns in recent years has to be MasterCard’s “Priceless” campaign of the late 90’s early 00’s. These were the ones where they would list off three or four material possessions followed by their respective price, usually in ascending order of value, to then stick the landing by concluding with an abstract special occasion or moment that, as they would say, would be “priceless.” Well, credit to MasterCard (no pun intended) but a USB is anywhere from $9.99 to $99.99 while a photo album is priceless. A photo album remains an essential product in our lives even, if not especially, in these times for the fact that it preserves memories in a lasting, artistic, and accessible fashion. Moreover, for photographers it can be a wonderful profit tool. I realize it may sound crazy in this day and age of millennials, who all want newer, smaller, faster, cheaper, quicker, brighter, shinier, lighter, any-thing-that-doesn’t-involve-or-resemble-work-or-school (and a book, is well, a book) coming of age and dominating the market, but lets consider a few things. First, especially for the sake of this argument, there are not as many millennials in the marketplace at large as we may think. Computers didn’t hit the mass market until the mid to late 80’s – some thirty years ago. I know its seems like ages but the flip side is how many people make up the marketplace who remember a life without computers? According to the US government website, CIA World Factbook at cia.gov, statistically the median age in the US is 37.9 with the 30+ age group accounting for over 60% of society. Therefore, it can be said with fact that most Americans remember a time before computers; and with over 28% of the population aged 55+, they may even prefer it that way. Furthermore, while now is the time for the millennial generation to be getting married the prices of traditional weddings almost guarantee the couple will need some family help. CNBC estimated in 2013 the average wedding cost between $26,000 – $28,500 while the popular wedding website theknot.com estimated the cost as high as $36,000 in 2016! With such a hefty price tag help is a necessity and with financial input comes influence. No-one goes through their wedding day without pictures and the pressure coming from this older generation will likely steer the couple into getting an album. Or at least it should- this is where the you as the photographer-businessowner should lock in, swoop in, and finalize a great album deal. But why should you bother with this effort? Because albums are a business’ best friend. With the rapid advancement and sheer dominance of computers, printers, and all its related technology I can understand why photographers may feel compelled to drop albums as they believe they are becoming an obsolete liability. However, the reality is the opposite. While they may need a little more work to be sold than before their customization options and adjustable price points make them the most profitable product in the studio. Moreover, contrary to the belief of personal home printer companies and their clients, we have not reached a point where someone on their own can produce the quality and integrity of what a photographer partnered with a good professional printing lab can offer. There are high-quality printing labs with a standard that will do your photography justice and guarantee that it will last. If a photographer partners with a printing lab that doesn’t advertise its brand or prices publicly they are free to adjust the post-production; pre-sale price to reflect their desired profit margin and/or their clients’. Also, with albums come endless additional add-on details which can enhance a product and client experience while at the same time provide for an understandably higher price and, therefore, profit point. This is something that is not so possible with a simple USB. Not to mention with albums photographers always have the option to make the best of both worlds and bundle albums with USBs. In fact, this strategy of including a USB with an album can help lure in the younger generation while simultaneously feeling like a friendly bonus. Of course this too has the freedom of adjustable price points controllable by the photographer. Another point of note is that photographers offering a healthy range of albums appear more prepared and professional. This in itself is helpful to secure potential clients but also gives you as a photographer just another reasonable excuse to charge a bit more for your services in general, if you so choose. After all, as I’m sure you already know- but it’s important to remember- when it comes to photographs, photo equipment, and photo albums the old adage remains true: you get what you pay for. So don’t get surprised, or disappointed; but instead listen to that initial skeptical instinct you get when seeing an idea of a product you know should be worth more to be quality. (Resist the urge, step away, and seek the product that is more appropriately priced. The actual quality product. Or the business partner you are sure has the pockets deep enough to have the best available equipment). Albums are Cherished. Family. Heirlooms. It's not exaggeration or hyperbole - albums can bring families together and create special and lasting moments. This gets us back to those millennials as they often forget this old truth. Yet, they are the future and need to be addressed. To persuade them we get back to the sell of the album itself and why it is far superior to a lone USB or digital option. Here it is important not to let yourself get it confused. Think of albums not as vinyl records (which, actually, are in their own way making a comeback) but instead the theater-which despite the landmark innovations in technology and the cinematic experience altogether still holds firmly on to a segment of the entertainment industry, relatively unchanged in principle over thousands of years. There is something about being at a play, musical, or production; such an experience can never be replaced. With an album it’s no different. For a start, a USB is not a kaleidoscope. You can not remove its cap or push out its hard drive to then peer in and experience the wonder that really does rest inside. Nor is it actually too convenient. Sure they may come in fun, portable sizes, but unless you also carry with you a respectable laptop that was made within a reasonable amount of time as the USB, with a well charged battery, again your intentions are seemingly futile. Lastly, you never hear too often of a family looking through photos in their beautiful USB. Sure you may be sitting there saying “Well hey, I can just as easily look at a picture on a computer screen as I can in an album!” For that I say you’re missing the point of the album experience altogether. Again an album is not trying to be the MP3 to the CD; instead it is unapologetically taking after the theater. A photo album perched upon a family’s bookcase in their living room has the potential to draw the whole family together. 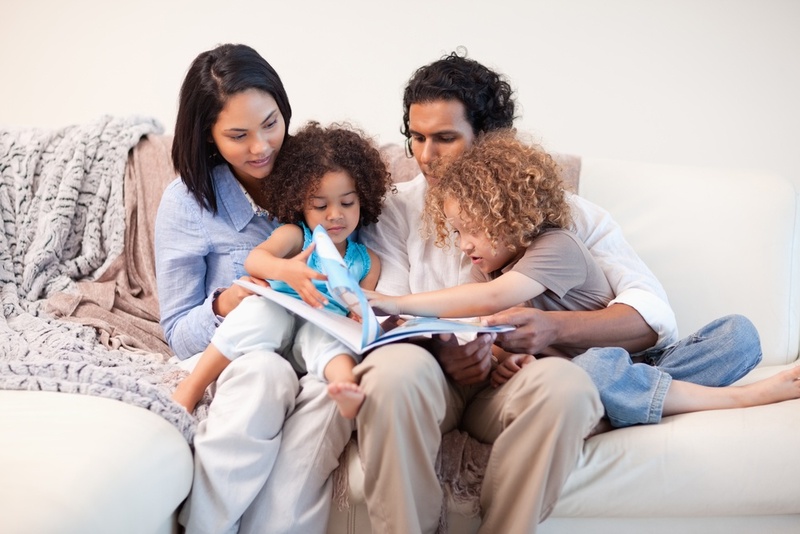 All it takes is one curious child to pull its binding and suddenly the whole family is huddled around a comfortable love seat reliving incredible moments. A family bonding, learning, and teaching each other about life’s most precious experiences. Just like that an album can make what was simply a spontaneous decision into a family’s most cherished memory. Such an experience is not likely to come from an elderly adult hunched over in a bare home office cursing under their breath helplessly failing to make sense of the latest touch screen laptop. Nor from that hip parent who is trying to re-live a wonderful vacation experience with their child via photos on their smartphone but is also careful to swipe quickly through their embarrassing pictures of their night out with friends that are mixed among. Some things in life deserve their own place. The Three P’s: Personal. Preservable. Priceless. Simply put albums are more than just a collection of photographs. They are our most personal and cherished stories preserved in easy-to-use, easy-to-share; everlasting books. They are a treasure chest of precious memories, artistically and compellingly designed in high quality. They have the potential to become elegant examples of creative exuberance but can remain semblances of simple and sleek functionality. They are easily and readily accessible by people of all ages and conditions and often earn the distinction of family heirloom. I can’t tell you how many times my family and I have strolled through a time none of us had known while looking at my grandparent’s wedding album some 65 years old now. These are accolades that simply can not and will never be attributed to a USB or digital display. Also, lets not forget that at times like these quality and details definitely do matter! Don’t believe the one who says they can do just as well themselves; persuade that couple who falsely believes their friend with a “printer” can stand in for your services. It is not the same. Embrace the album, don’t shun it. The album is your friend; your tool. Learn it. Love it. Take care of it and it will take care of you. After all, while I willingly embrace technology at large and the undeniable benefits it brings as I think about my own upcoming wedding I know to say to the photographer, Keep the USB. I’ll take the album – no matter the cost- because after all that is a possession which is priceless.